Refined and simple, plant Rigida into your home. 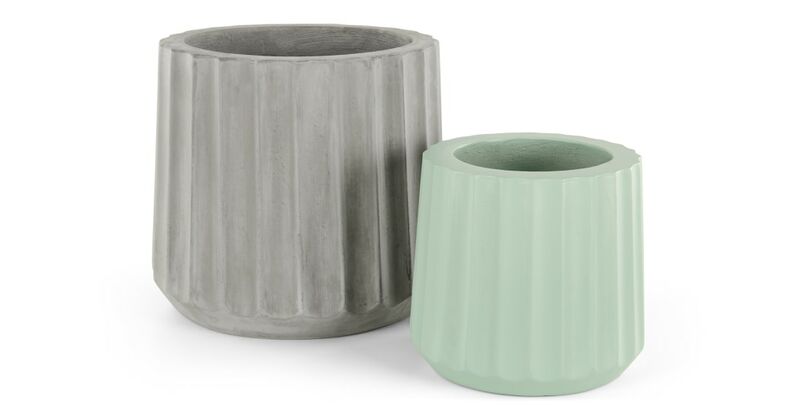 A set of 2, these concrete planters look great dotted around your space or clustered together – style it your way. Rigida fits in anywhere thanks to its pared-back industrial look. These large planters are made from concrete and are the perfect place to plant larger plants. Check out the grooved design on these indoor planters. Although simple, combined with the textured feel, Rigida makes a subtle impact. We recommend the use of inner plant pot to protect surfaces if used indoors.